Google’s Fake Pizzeria: Google created a fake pizza brand called Doctor Fork to test a wide number of creative strategies, including some that may not seem pragmatic. They used stock footage to create 33 ads and then served them up on YouTube… reaching 20 million real impressions with fake ads. They were specifically testing the effect of sensory cues on ad effectiveness and how much human presence there should be in food ads. The findings? 1) Viewers want edge-to-edge food in their food ads, 2) Short-form ads should separate visual clips from audio/supers, 3) Explicit instruction to imagine increases both recall and favorability, and 4) Younger audiences responded better to first-person perspectives (POV) than older audiences. Watch the playlist and see what you think. Alexa, open Yo Yo Ma’s Musical Moments: This week Amazon announced a new Alexa experience featuring renowned cellist Yo-Yo Ma. In 36 short episodes produced just for Alexa, Ma will walk listeners through classical compositions from Johann Sebastian Bach in this initial series. This is the first experience of its kind and music industry insiders are saying Yo-Yo Ma is likely the first of a flurry of upcoming musicians to be featured by Amazon, with Alexa as a core component. Amazon says the content will be available as an Alexa skill and the Classical Flash Briefing on any Alexa-enabled device. Get it here. WalmartVR: Would you shop in a virtual reality Walmart, putting virtual items in a virtual cart and searching your virtual purse for a virtual coupon? 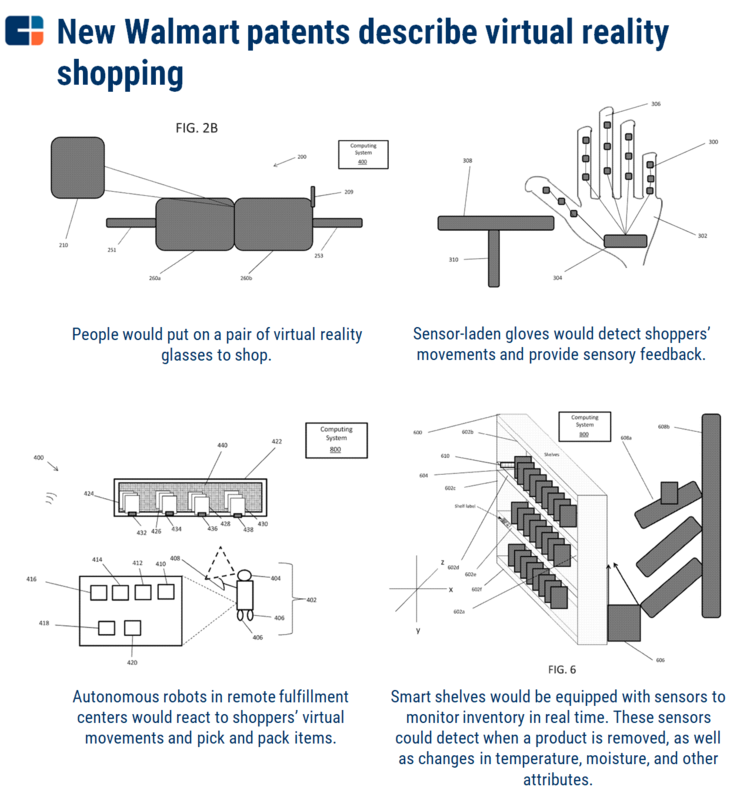 Walmart thinks you may, and this week we learned they have patented a VR helmet experience paired with sensor-laden gloves that would allow consumers to interact with a Walmart store in a virtual world. 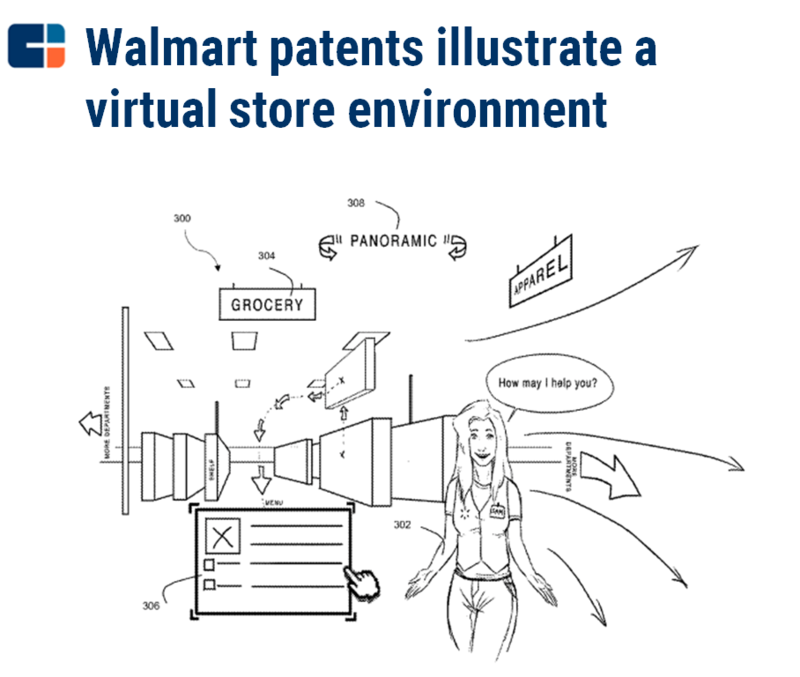 This comes after patents in December for “virtual reality shopping stations” where users step into a small pod at a shopping mall or office building and explore a VR interface that could make it seem like they were inside a full-size Walmart store. This could completely redefine People of Walmart. Two Bit Circus Launches in L.A. With the success of the Instagram-bait experiences like the Museum of Ice Cream and 29 Rooms (which was just picked up for a CPG licensing deal) comes the next generation of experiential brand experiences. It’s called the Two Bit Circus, and it’s a physical space rooted in pixels — with custom escape rooms called Story Rooms, VR Cabanas (private rooms), VRcades, reimagined arcade games, free roam VR, and live interactive game shows. And it has a “lovestruck omnisexual robot bartender, Guillermo del Pouro.” Now that’s worth standing in line for. The Maury Povich Show of Twitter: This week everyone’s talking about Relationships.txt (@redditships) that tweets out curated screenshots of hilarious, ridiculous, shocking and confusing posts from Reddit’s r/relationships. It’s a voyeuristic look into love, dating and the Maury Povich Show of the internet. Give it a follow to spice up your Twitter feed.